The UK’s financial regulator Financial Conduct Authority (FCA) has issued its another warning against the broker who is unauthorized nor licensed, but has been offering their services and products to UK residents. 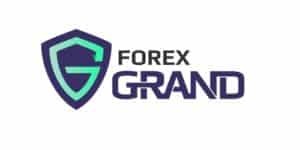 The warning concerns ForexGrand broker, which operates on the website https://forexgrand.com/. It is a broker, offering online trading in more than 70 currency pairs, over 30 CFDs (on indices, commodities, stocks and cryptocurrencies) on the widely used MT4 platform.The firm offers its clients several account types, depending on their initial deposit. If you check the section about the company, you will see the story about the owner of the company, Mr. Grand, who tells about the establishment of it. It is obvious that this Mr.Grand is a fictional person and his story is made up. The real, relevant information about the company is missing, which is confusing and deluding, as there is no information about the regulation of the company. According to the information on the website, ForexGrand owned by Capital FXG ltd, located on Marshall Islands. It is also operated by Nordic Pearl Ltd, the company with headquarters in Bulgaria, which is not authorized in Bulgaria. Another thing that confuses and reduces the level of trust is that the phone number provided on the website includes country code of Switzerland. Considering all the facts above, it is better not to deal with this company. Non-regulated and offshore regulated brokers should be avoided as a general rule, as most of them turn out to be scams.